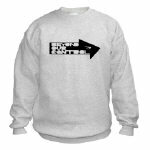 Official BOC Logo Items are sold through CafePress.com. Click the link below to reach Cafe Press. NOTE: Cafe Press will open in a new browser window. Keep the BOC Store window open. If you have items in your BOC shopping cart they will be removed if you close the BOC window.